Among these survivors are Yuuichirou and Mikaela Hyakuya, two young boys who are taken captive from an orphanage, along with other children whom they consider family. Discontent with being treated like livestock under the vampires' cruel reign, Mikaela hatches a rebellious escape plan that is ultimately doomed to fail. The only survivor to come out on the other side is Yuuichirou, who is found by the Moon Demon Company, a military unit dedicated to exterminating the vampires in Japan. 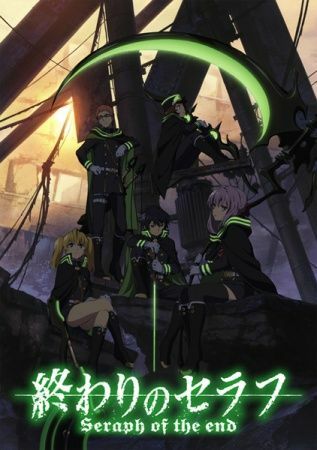 Owari no Seraph is a post-apocalyptic supernatural shounen anime that follows a young man's search for retribution, all the while battling for friendship and loyalty against seemingly impossible odds.